We show you a package of realistic textures to give your Minecraft a more defined and crisp look, its resolution is 64x, so you will need to run MC Pacther. 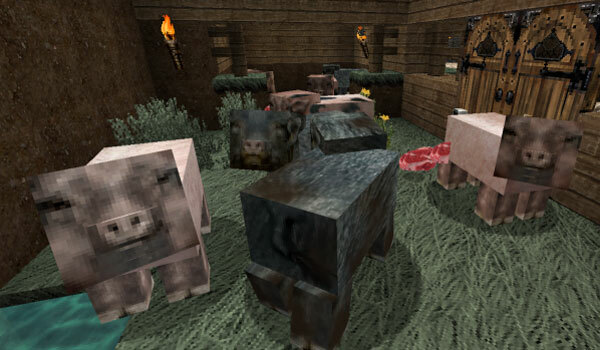 This package provides textures for animals, monsters, armor, etc..
Featherlight 1.2.5 makes modifications in the design of the textures, while maintaining the use of each block. How to install Featherlight Texture Pack for Minecraft 1.2.5? Open the folder .minecraft / texturepacks and paste the file. Zip pack. Run MCPatcher HD and click Patch.